Choose between two programs: Spanish Language, Liberal Arts and Environmental Sciences, or the Spanish Language and Internship program. In addition to these programs students on the 16 week Spanish Language, Liberal Arts and Environmental Sciences Program can earn a Certificate of Knowledge in one of eight chosen fields. The Spanish Language, Liberal Arts and Environmental Sciences Program is available for a period of 12 or 16* weeks. The Spanish Language and Internship program is available as a 16-week program only. All students are required to take Spanish (available at all levels from Beginner to Advanced and heritage speaker) and will take electives depending on their chosen program. In addition to the electives listed in this catalog, students on the 16-week program who have a minimum of 2 years college-level Spanish and test into the advanced level may also take regular Veritas University courses taught in Spanish alongside Costa Rican students for a fully immersive experience. No AIFS student is permitted to take a course without receiving a letter grade. Pass/fail options are not available. *In the spring, the 16 week program is 17 weeks in duration because of the one week mid-semester break. This program is designed for students who wish to begin or strengthen their skills in Spanish and take elective courses across a range of disciplines including art, architecture, business, communications, economics, environmental impact and sustainable development, history, literature, management, marketing, politics, psychology, tropical ecology, and tropical marine biology. Many courses take a Latin American perspective giving you a deeper understanding of the issues and challenges facing the region and some of the environmental electives include lab work or field trips which bring you closer to Costa Rica’s diverse ecology. Spanish is available at all levels from Beginner to Advanced and courses run in 4-week blocks. Classes are taught Monday to Friday in the morning for 20 hours per week for a total of 80 contact hours and are recommended for 5 semester credits. Classes are small to maximize language learning. Specialized Spanish Language courses are also available for Health Professionals and Law Enforcement Officers. Elective courses run for the length of the semester in the afternoon, are 48 to 60 contact hours and are recommended for 3 or 4 semester credits. Most electives are taught in English. Electives taught in Spanish focus on literature and linguistics. There may be mandatory weekend field trips associated with some environmental sciences or sustainability courses. Students on the 12-week program may take one Spanish course plus three electives, two Spanish courses and two electives or three Spanish courses and one elective for a total of 14 – 19 semester credits. If taking more than one Spanish course students need to successfully complete the test at the end of each course before proceeding to the next level. Students on the 16-week program take an additional Spanish course either at the end of the semester in Spring or at the beginning of the semester in Fall for a maximum of 23 credits. 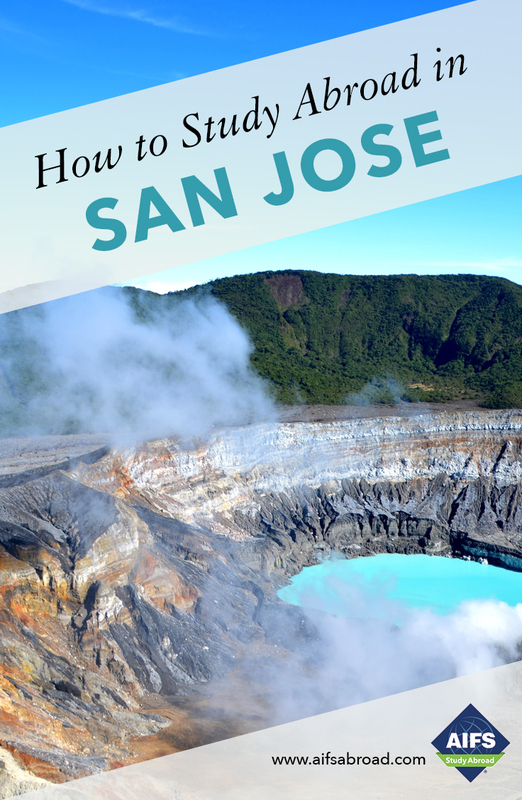 The language level you participate in and the electives you are eligible to take will be determined by a Skype oral and online placement written test prior to your arrival in Costa Rica. It is important to obtain approval from your home institution for several levels of Veritas language courses and several alternate Veritas elective courses. Your final course schedule will be determined on site. Students wishing to take electives taught in Spanish must place into the high Intermediate or Advanced level. The Spanish Language, Liberal Arts and Environmental Sciences 12 or 16-week Program is available as a full year, fall or spring semester. Students applying for this program require a minimum GPA of 2.5. Students interested in a particular area of study may participate in the semester Certificate Program. Students choose one Spanish Language course and four elective courses from one of eight fields of study and earn a certificate of knowledge in that chosen field by the end of the semester. Spanish is available at all levels from Beginner to Advanced and courses run in 4-week blocks. Classes are taught Monday to Friday in the morning for 20 hours per week for a total of 80 contact hours and are recommended for 5 semester credits. Classes are small to maximize language learning with no more than 12 students per class at the Basic and Intermediate levels and maximum 14 in the Advanced Spanish levels. Elective courses run for the length of the semester in the afternoon, are 48 to 60 contact hours and are recommended for 3 or 4 semester credits. Most electives are taught in English. There may be mandatory weekend or afternoon field trips associated with some health care courses and some environmental sciences or sustainability courses. The language level you participate in will be determined by a Skype oral and online placement written test prior to your arrival in Costa Rica. It is important to obtain approval from your home institution for several levels of Veritas language courses. Your final course schedule will be determined on site. Internship programs provide you with an opportunity to gain valuable work experience and professional skills alongside your academic study. The internship program is offered as a 16-week program only. Students must have a GPA of 2.6, be 20 years of age by the start of the placement, have at least 2 years of college level Spanish (or equivalent) and place into Advanced level of Spanish in order to participate in the Internship program. Students should have also completed a minimum of 5 courses in a field of study related to their preferred internship. Students wishing to participate in the Biomolecular Lab and Conservation Biology Internship only need to have a Basic 2 (2 semesters of College Spanish) level. Students begin this program with a preparatory 4-week Spanish language course to refresh or improve their existing Spanish language skills ready for their placement. The course is 80 contact hours for a suggested 5 semester credits. After these four weeks the 12-week placement will begin. Internships are unpaid positions within companies or NGOs in the vicinity of Veritas University or within the Central Valley, a bus ride away. Students are placed in positions related to their major and/or interests and are assessed by meetings, a major project and a presentation at the end of the internship. Students are supervised by a professor at Veritas University who will guide them through the project work. Intern placements are for 30-40 hours per week and last for three months. Each semester credit offered for the internship requires at least 45 hours of work within the placement. For further details about the Internship Program and application process please speak to an AIFS Admissions Officer. Students on the Internship Program take one Spanish course for 5 semester credits, one internship for a recommended 6 semester credits and, subject to the internship and class schedule, may be able to take one or two elective classes for a recommended 3 or 4 credits each. Due to the intense nature of the internship hours and the availability of electives, this will vary for each student. The suggested total of recommended credits for the semester is 11 to 19. *Please note that due to the intense nature of the Internship, students may not be able to take additional electives. This will be determined by the number of hours spent at the internship placement. Veritas University was founded in 1976 as a college of the Universidad Autónoma de Centroamérica, the first private university in Costa Rica. In 1991, Veritas University became an independent university and has since grown to become one of the most highly respected private universities in the Latin American academic community with a student population of almost 2,000 including several hundred international students. Veritas is fully accredited by the Costa Rican Ministry of Education and is a member of NAFSA and the College Consortium for International Studies. It is housed in an urban campus, equipped with modern facilities, including computer labs, a well-maintained library and cafeterias.